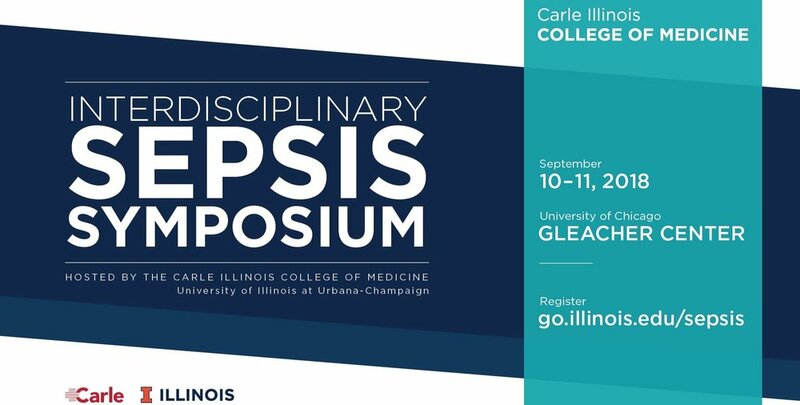 On September 10th and 11th, the Carle Illinois College of Medicine, in partnership with OSF Healthcare, the University of Chicago Medicine, the Illinois Interdisciplinary Health Sciences Institute, and the Carle Foundation, are hosting the Interdisciplinary Sepsis Symposium. Sepsis is the leading cause of death in hospitals in the United States, the leading cause of readmission, and the most expensive hospital condition. More people die from sepsis every year than deaths due to prostate cancer, breast cancer, and HIV all combined together. To enable sepsis experts and government agencies/funding foundations to start to develop a plan to innovatively improve sepsis care over the next two decades. Three of the top five sepsis researchers in the entire world are giving keynote talks (Jean-Louis Vincent, Derek Angus, and Richard Hotchkiss). 18 other sepsis speakers from six different areas will also be giving talks – clinical, big data, novel devices, immunology, education/training, and biomarkers. In addition representatives from CMS, the CDC, BARDA, NIGMS, NIAID, NHLBI, and various funding foundations will be attending.